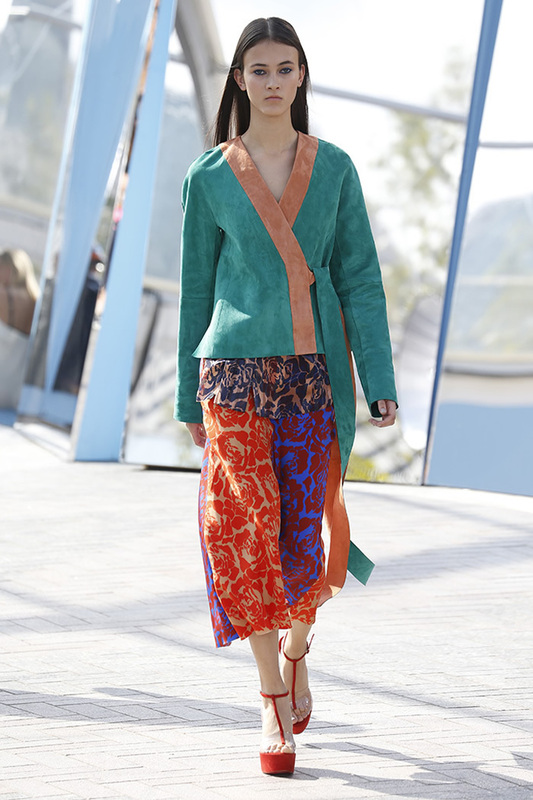 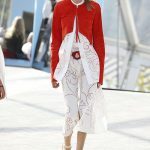 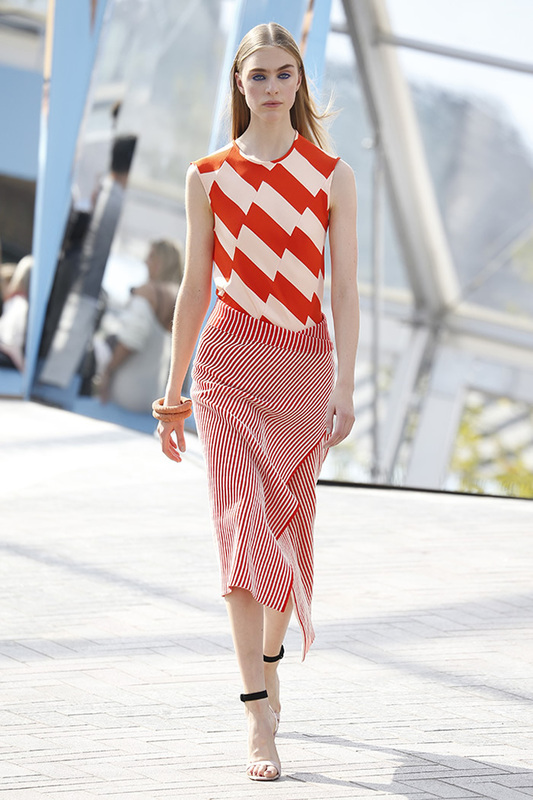 Jonathan Saunders’ spring collection exuded an easy femininity, and was more approachable than some of his past outings. 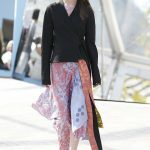 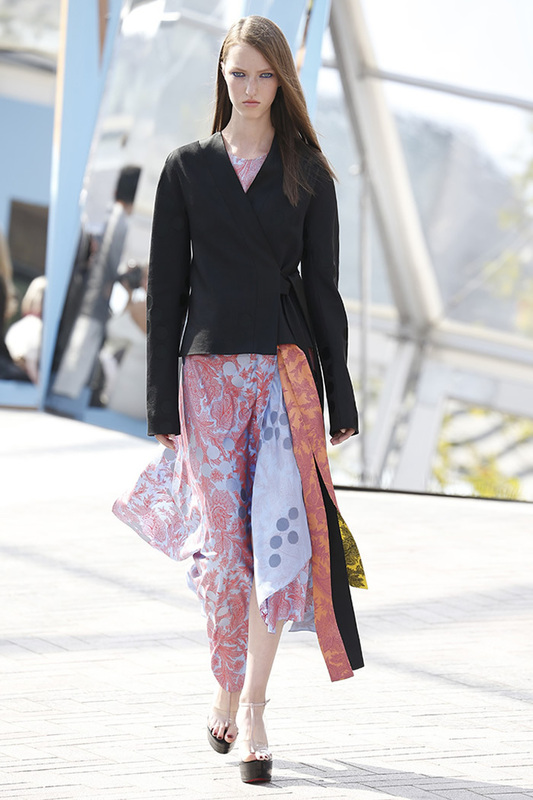 The lineup – which Saunders showed in a sun-drenched square in London’s King’s Cross – saw the designer work his signature off-kilter color combinations, as well as a raft of pattern and prints, into fluid shapes. 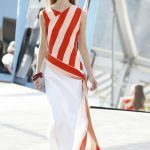 There were filmy, bias-cut slip dresses, one done in color blocks of red silk and peach chiffon, and another fashioned from panels of contrasting brown and white and red and peach stripes. 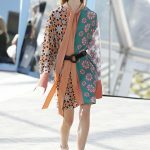 There was also a global sensibility to the collection, as seen in kimonolike dresses that wrapped around the body and were made from contrasting panels of opulent, leaf-patterned silks in shades of mint green, red and yellow. 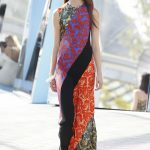 Saunders also played with an intricate pattern that evoked Moorish tiles, which came as a print on a silk tunic dress, or as a guipure lace pattern fashioned into a long, buttoned-up tunic dress. 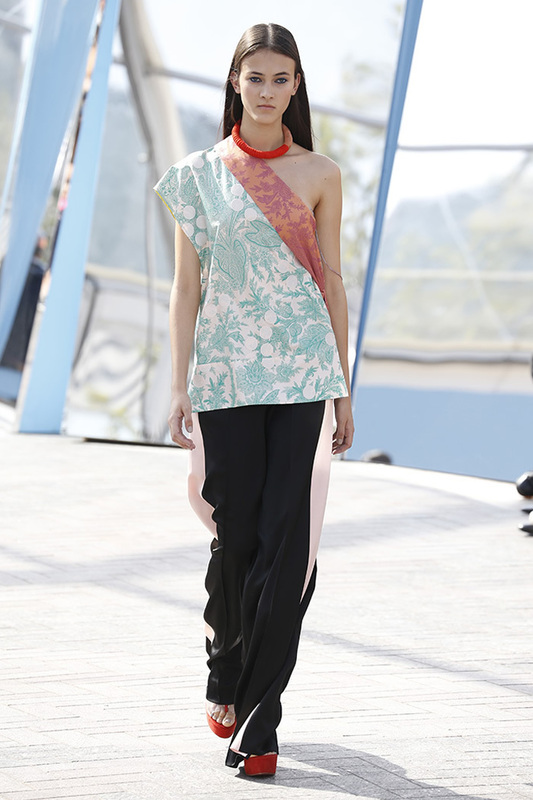 Investor Eiesha Bharti Pasricha took a stake in Jonathan Saunders earlier this year, and the influence could be felt in the new, sleek quality of this appealing collection.